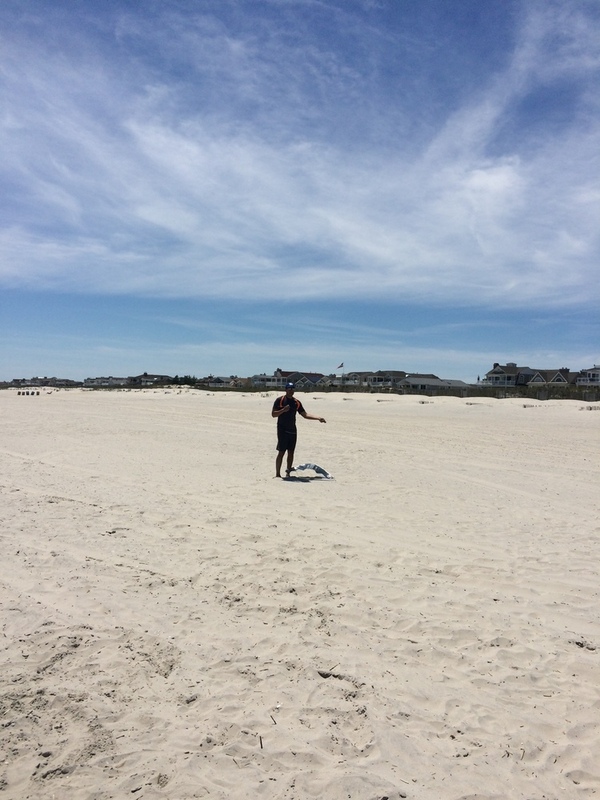 One awesome Dad, trying to fly a kite. Oh Father's Day. Last year you crept up on me, shocking me with how sad and empty I felt. I had someone to celebrate- my wonderful husband and father to my awesome child. But all I could think about was my own Dad. Husband was right here, bike riding along next to me on the West River Drive trail and I felt like I was pulling a cart full of bricks of grief. I couldn't keep up, I didn't really want to and I couldn't bring myself to care about my husband not having a great day. It's not like me. I'm the person who makes pancakes into shapes and happy faces. I put streamers on chairs to make "birthday chairs". It's me who makes the favorite dinner, who gets balloons and who thinks of little surprises to create a special day. I realize, honestly in typing this, that this is my mother. This is who she is/was too. Maybe it's why she so desperately is trying to figure out when people's birthdays and anniversaries are. She writes them on her calendar and whenever someone mentions a birthday or a due date, I see the look of panic cross her face and her search the room for her calendar. She shows love through remembering, and celebrating with food and by making a special day and I can see all of the ways she still struggles to do this. On my way over to Mom's house, I stopped to take a walk here, a small section of hiking in the city. So this year on Father's Day, I need some way to both celebrate the wonderful man I see as an amazing father that is right here with me, and still find a way to remember my Dad. I am craving some sort of ritual or remembrance. I would go to his grave, but he was cremated. I would go to the place where his ashes are spread but they are 300 miles away in Connecticut. And I need a way to enjoy Father's Day, to really find some joy in this day instead of being reminded of the thousand daily losses that make up the loss of one person. I don't know if I miss him more on Father's Day, maybe it's just Dad and Grandpa awareness day and that is what I feel, that hole where Dad used to be, that never gets filled. But in writing this blog I promised myself that I wouldn't just vent about the sadness of loss. I would actually make a plan to try for joy. It's no filibuster in the Senate, but it's my own pursuit of a better life for me, and my family. So here is how I am going to enjoy Father's Day and still miss my Dad. 1. I am going to get up and make breakfast or lunch for my husband. It is going to involve some sort of bacon product and possibly a bacon/pancake combination (we don't usually eat meat at home and he loves it!). 2. I am going to spend one hour remembering my Dad. I've decided to write him a Father's Day card. Yes, this is super sad. But as I wrote about here, the sadness is already there, I'm just choosing to unroll it for a little piece of the day and let it out. 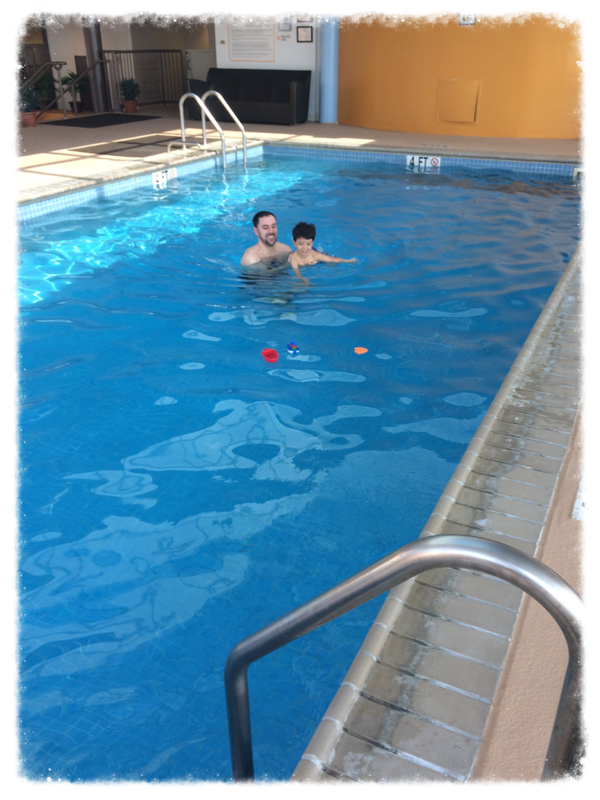 Awesome brother taking my little guy for a swim. 3. I am in the process of writing thank you cards to the men and women in my life that have provided "Dad- Like" support. And by that I mean practical advice on life things, who ask me questions about my job, and my financial future and how much we are paying Mom's new aide. (More on hiring an aide soon). It's my uncles, my brother, a good friend and my counselor. My little one, with big expectations. 5. The last thing, and I'm hoping I can keep this with me, is to remember how lucky I am to have had such a wonderful Dad. So many of you haven't known what I know and I realize that too. I have the honor of working with a lot of men who truly just want the chance to be a Dad and have been through years of infertility, home studies, waiting and frustration to try and get there. I hope you find a way to "Dad" this year. I also realize that I am not alone. I'm sitting on my porch right now, look at my neighbor's back porch (It's the city. I can also see in their window if I really wanted to.) and I hold their loss of their own Father in my heart as well. The daughter got to have her Dad for 21 years, not enough time at all. I hope you are able to enjoy Father's Day, in any way you can. And if you think you can't, if it hurts too much, then let that be this year, and I will hope along with you for an easier next year.